Perfect for spring, these little bunnies are having a ball! 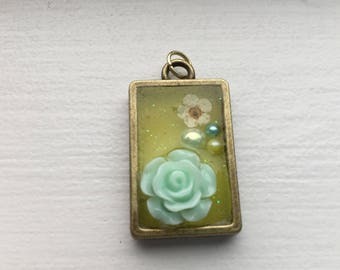 Would make a beautiful necklace or a great accessory attached to a keychain or purse. Please note that this listing is for the pendant ONLY and a chain is not included. I have attached a 6mm jump ring so it is ready to be hung from a chain of your choosing. The measurements are 1.25" x 1.25" and the centre of the pendant was made using UV resin. 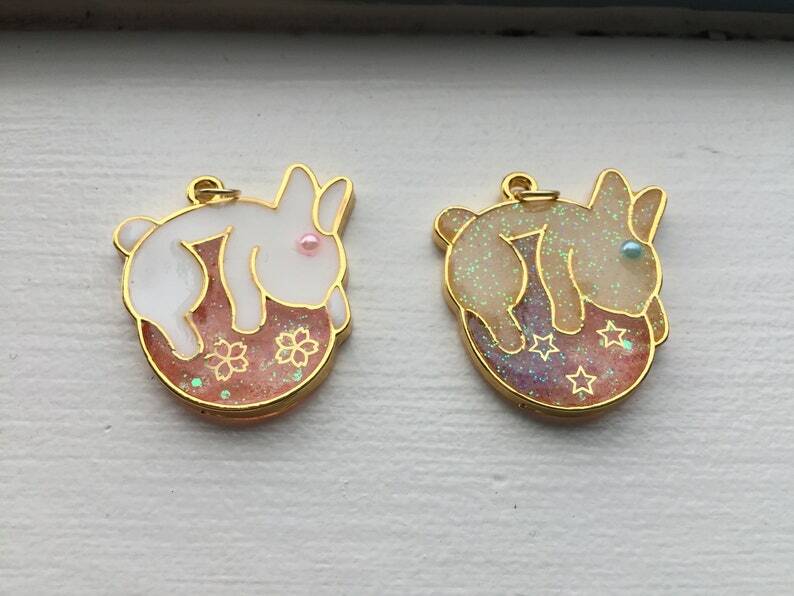 I love my beautifully crafted Kawaii Bunny on a Ball Pendent. The pendent has made me very hoppy (: Thank-you to The Crafty Colon.